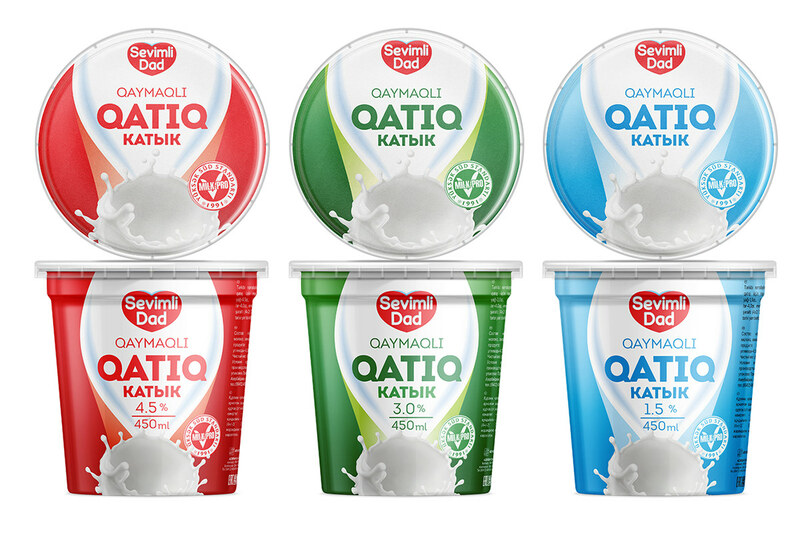 Company "Mpro" was instructed to update and adapt for the new dimensions the existing design of matsoni of certain types of fat content for the product "Sevimli Dad"
A new package will be printed on paper using a new technology, and this label will completely wrap around the container. For my part, the sizes were changed, some inaccuracies were corrected in my opinion. The new product has a completely updated composition, its taste has been improved. The management decided to update the existing packaging design due to changes in the composition. Redesign and adaptation of packaging for matsoni "Sevimli Dad"